This year I made a concerted effort to read more books related to my interests in analytics, math, and data science. I had the pleasure of reading most of these books with a group of people at work, and we met on a regular basis to discuss and gab. These books are casual, and not meant to be as strictly educational (or tedious) as reading a textbook. 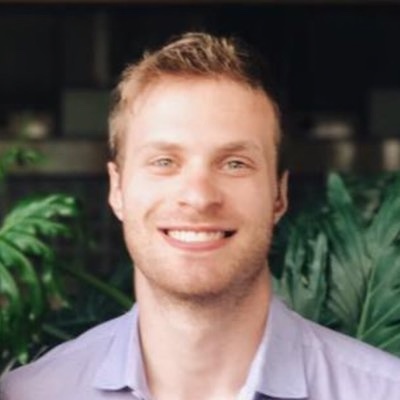 Lewis follows the careers of Amos Tversky and Daniel Kahneman, two Israeli psychologists notable for their work in the foundations of behavioral economics. Like Moneyball or The Big Short, Lewis uses the stories of fascinating people to explore more complicated subjects. Moneyball is very much the story of Billy Bean, but along the way, you learn a lot about advanced metrics in baseball. 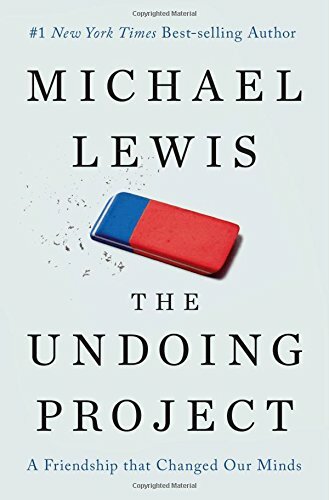 Likewise, The Undoing Project is very much the story of Tversky and Kahneman, but along they way you will learn a lot about the way humans interpret numbers and probability, and the theories that underlie behavioral economics. Dataclysm explores the data underlying human connections and romance. 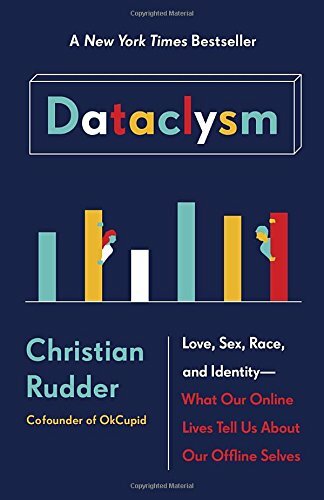 The book, written by Christian Rudder the founder and former CEO of OkCupid, has taken some of the popular posts and ideas behind Rudder’s OkCupid data blog and expanded on them. This book generated some great discussion around the use of data in our personal lives and how our understanding of data doesn’t necessarily change our behavior in dating or relationships. 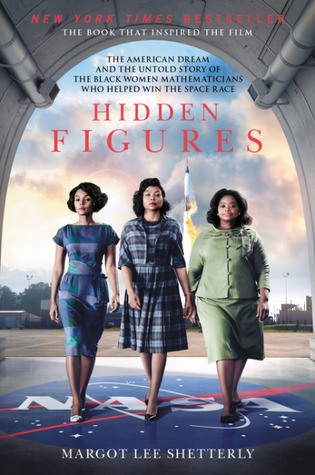 Now a major motion picture, Hidden Figures was a quick read that explored the stories of the black women working as ‘calculators’ at NASA during the space race of the early 20th century. The book was not as thrilling as the movie, but provided nice insight into the world of mathematics and early computing, and shed a light on many of the difficulties these women overcame to have successful careers at NASA. Every year, the AI community gathers to hold a competition of chat bots to see if they can pass the Turing Test. As a part of the competition, human confederates are put in place so that a judge could be speaking to a computer or to a human. 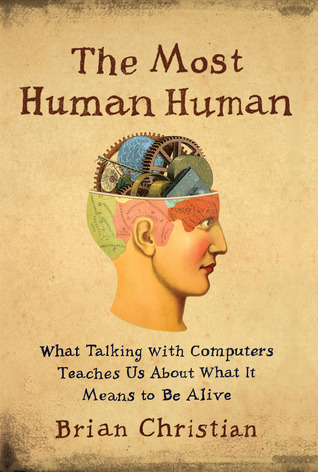 At the end of the competition, awards are given to the computer the judges determine to be most human, but also to the human most frequently identified as a human (aka The Most Human Human). Christian writes about his experience as a human confederate, and divulges into the methodology behind leading chat bots, as well as some more philosophical writing about what it means to be human. 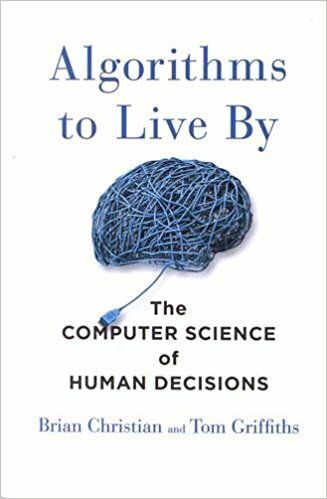 This book explores basic computer algorithms and attempts to connect and apply them to practical every day problems. Problems include: how many candidates should you interview before making an offer, how to best organize your desk, or how to best manage your time. 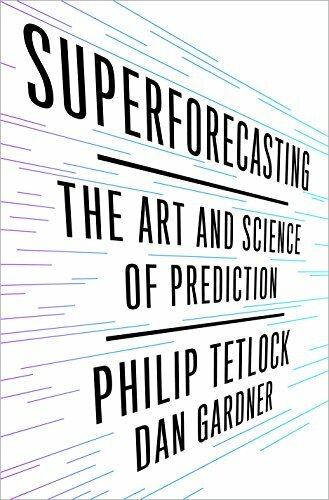 Superforecasting looks into a longitudinal study conducted on the ability of individuals to forecast and predict geopolitical events. From that study, a group of individuals were identified as ‘superforecasters’ who had the ability to consistently and accurately predict the future better than most. Tetlock dives into the reasons behind their success (incorporate additional information, precise estimates, etc.) as well as the methodology behind measuring predictions of future events. 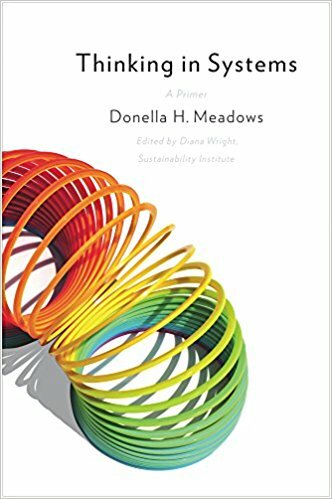 This book introduces basic concepts around systems, including stocks, flows, and feedback loops. Meadows provides a good foundation for understanding how a small change in a system can have major impacts. The book even inspired a blog post on how to replicate basic systems diagrams in R! Closed the year with some good ole Tufte, as gifted to me by my twin-sister! 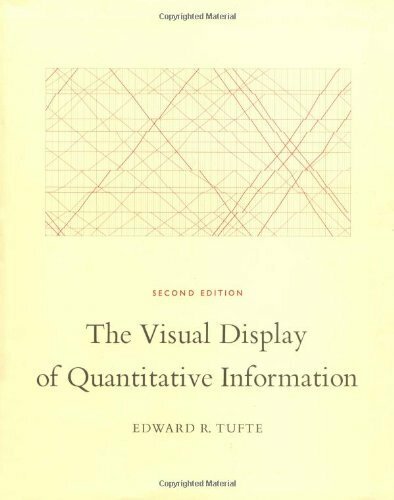 Tufte is a pioneer in the field of data visualization, and although he has a mixed reputation in recent years, I really enjoyed his compilation of historical data graphics and visuals. Well, that’s all! 2017 was a great year for reading, here’s to 9 analytics books in 2018!